Students who register for a course offered by another school at the University are subject to the registration policies and procedures of that school. Permission to register for courses in other divisions of the University depends on the course, the school that offers it, and the student’s academic status within the School of Professional Studies. Some schools allow cross-registration; others do not. Below is specific cross-registration information for each school. Students are expected to follow degree requirements in place during their initial term of enrollment. Some programs allow for coursework outside of the home program. At times, opportunities to take courses outside of the program appear in the form of electives. Students should seek counsel from advisement if they would like to pursue a course within another SPS program. Without prior approval, the course might not count towards degree requirements. Undergraduate courses in film, theatre, writing, and visual arts are available to Professional Studies students on a space-available basis. Although not permitted to enroll in M.F.A. writing courses, Postbaccalaureate Studies students in the School of Professional Studies may cross-register in selected graduate courses in the other divisions of the School of the Arts on a space-available basis, with the permission of the Advisor or Program Director of the School of Professional Studies and the appropriate division of the School of the Arts. School of Professional Studies students with appropriate preparation and departmental and/or instructor permission may cross-register for courses offered by the Graduate School of Arts and Sciences. Graduate courses taken through the School of Professional Studies may become the basis of transfer credit toward a graduate degree, although this is up to the graduate school to which a student is admitted. Columbia’s Graduate School of Arts and Sciences normally confers up to 12 points of credit toward the Liberal Studies M.A., and up to one “residence unit” of credit toward the M.A. for work completed in the School of Professional Studies as a Postbaccalaureate Studies student in approved graduate-level courses with a grade of B or better. Postbaccalaureate Studies students, with appropriate preparation and the permission of both Professional Studies and SIPA, may enroll in International and Public Affairs courses, on a space-available basis. Complete information about the cross-registration procedure can be found at http://bulletin.columbia.edu/sipa/registration/#crossregistrationtext. Well in advance of registration, Postbaccalaureate Studies students in the School of Professional Studies should consult the web site for course requirements. Courses taken through the School of Professional Studies may become the basis for advanced standing toward a graduate degree in SIPA or elsewhere, but this is up to the graduate school to which a student is admitted. 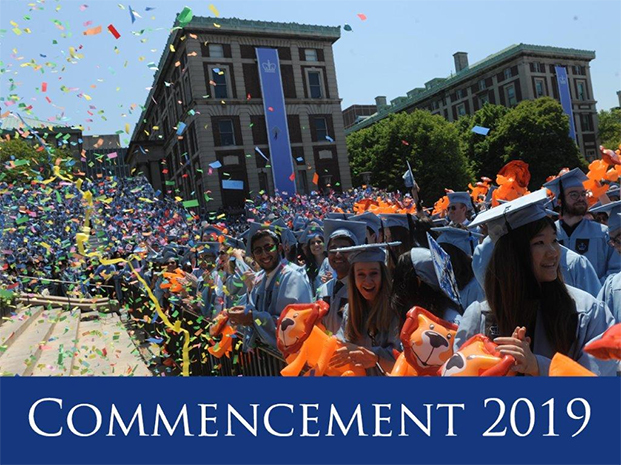 Select Business School offerings, excluding core courses, are open to Columbia University graduate degree candidates and postbaccalaureate students in the School of Professional Studies. Non-Business School students may take no more than 3 credits of business school courses per semester and no more than twelve credits during their entire Columbia course of study. Please navigate to Cross-Registration for Non-MBA students, for complete information about the cross-registration procedure for Columbia Business School courses. Barnard courses appear in departmental course listings with the prefix “BC” before the course number. Limited-enrollment courses at Barnard, especially seminars, are only open to School of Professional Studies students on a space-available basis and with instructor’s approval. While it is generally possible to cross-register in Barnard courses without limited enrollments, School of Professional Studies students should be aware that, in some departments, courses at Barnard are not interchangeable with what appear to be equivalent Columbia courses. Please note that School of Professional Studies students do not have permission to register for classes in the Architecture department at Barnard. Postbaccalaureate Studies students may, with the permission of the Dean of Student Affairs in the Mailman School of Public Health and of the instructor, enroll in some Public Health courses. Courses taken through the School of Professional Studies cannot subsequently be transferred to a degree program at the Mailman School of Public Health. Postbaccalaureate Studies students with the necessary prerequisites may, with the permission of the Student Service Office at the School of Social Work, enroll in Social Work courses on a space-available basis. Teachers College is the graduate professional school of education affiliated with Columbia University. Postbaccalaureate Studies students in the School of Professional Studies may be given permission to cross-register in Teachers College courses only by the Advisor or Program Director at the School of Professional Studies and only if they are also registering for arts and sciences courses in the School of Professional Studies. Postbaccalaureate Studies students wishing to register for Teachers College courses only should seek direct admission to Teachers College. Students at institutions with which Columbia has formal cross-enrollment arrangements—e.g., the Juilliard School and Union Theological Seminary—need not apply for admission to the School of Professional Studies. These students must, however, secure written permission for cross-enrollment from their home school registrar and present it to an Advisor in the Office of Student Lifecycle Support. Note: Union Theological Seminary students may only register for graduate-level (4000 and above) Arts and Sciences courses with R, U, G, or W prefixes.